A Betoota Heights man who cashed in his chips and followed his Victorian Football dreams all the way to WA has had his Instagram profile verified overnight in what’s being decribed as a ‘random act of kindness’. 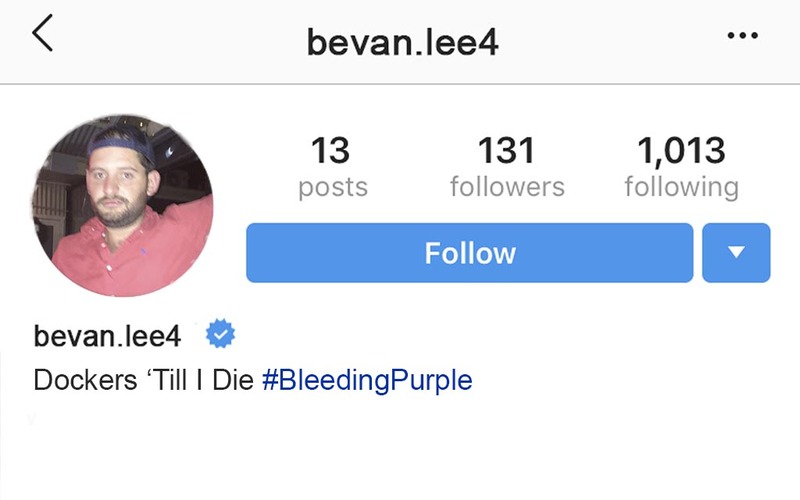 The faceless employee of the giant multination social media platform who gave Bevan Lee, a third-string Victorian Rules Football player for the fledgling Fremantle Dockers, the blue tick may never be known. But whoever they were, their charity will not be forgotten, says Bevan. “It’s incredible,” he told The Advocate today via telephone. Closer to home, the response to the former Betoota Heights Kangaskhans fullback getting verified on Instagram is one of great fanfare, according to some of his old coaches. Head coach of the Kangaskhans this season, Rollie ‘Egg’ Pye OAM, said he remembers young Bevan very well and he’s ‘very happy’ with how his career is shaping out. “To have somebody from our club get verified on Instagram, I mean, it blows me away,” he said. The Advocate reached out to Instagram for comment but has yet to recieve a reply.